A march to remember those who fought for our freedom. Sunset March is a daily tribute to the Allied soldiers who fought for the liberation of The Netherlands, especially to those soldiers who lost their lives. In 2013 the city of Nijmegen completed the construction of a new city bridge called Oversteek [The Crossing]. It was constructed close to the area where members of the US 82nd Airborne Division crossed the river Waal on 20 September 1944 as part of Operation Market Garden. 48 Allied soldiers lost their lives during this ‘Waal Crossing’. The recently completed bridge has been installed with 48 pairs of exceptional street lights. street lights*. At sunset these sets of street lights are lit up pair by pair at a slow marching pace. The total duration of illumination of all these street lights is almost 12 minutes. Each and every night, a military veteran, the veteran of the day, walks the Sunset March at sunset. As the lights are turned on, the veteran walks along in pace with the lights being lit. The veteran can be recognized by his or her beret, the veteran’s insignia, his or her personal medals and a special flag he or she carries. Any veteran can participate as Veteran of the Day and walk the Sunset March. If you are interested in participating as Veteran of the Day, please check the calendar on the right to see whether your preferred date is still available. A reservation can be made on the Reservation page. The Sunset March applies the Dutch definition of ‘military veteran. That means that you do not have to be retired to be designated as a veteran and eligible for Veteran of the Day at the Sunset March. Sunset March is an initiative of the veterans of the municipality Overbetuwe. 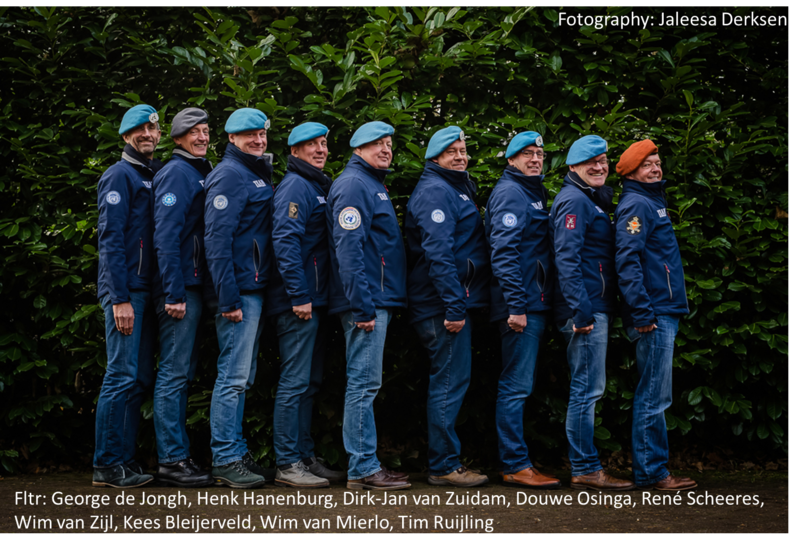 (Veteranen Overbetuwe ).